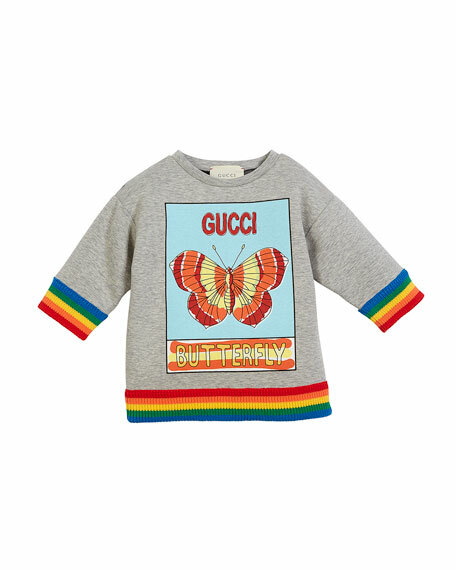 Gucci neoprene sweatshirt with postcard "Butterfly" print. Rainbow ribbed knit cuffs and hem. For in-store inquiries, use sku #2387385.